I’ll be honest with you – I’ve never really been a fan of the Urbanears brand. Ever since they came out on the market, I have always seen them as a colorful waste of money. I have gone through many a new product line of the same class and have been disappointed by the sound quality for the price I paid. I won’t bother mentioning those brands here, but just to give you an idea of my biggest disappointment: I spent Php1,899 on a pair of headphones and used them exactly once. The sound quality was terrible – very little bass, no mid-tones to speak of, no highs to get me excited listening to my songs. It was like listening to a pair of headphones I could’ve easily purchased for PHP 500 or less. To this day, that pair is just rotting away in my room somewhere. Coming into this review, I approached the package before me with an understandable apprehension. I wanted to challenge the brand to break my prejudice and make me believe they weren’t just another pretty face with an indulgent price tag. This is where the story of my experience with the Urbanears Tanto officially begins. Let me start with the main focus of the product – it’s simple yet eye-catching design. To be fair, the Urbanears line did pique my interest because of its colors. The bold range of colors they have is unheard of compared to the traditional blacks and whites that dominate the market. 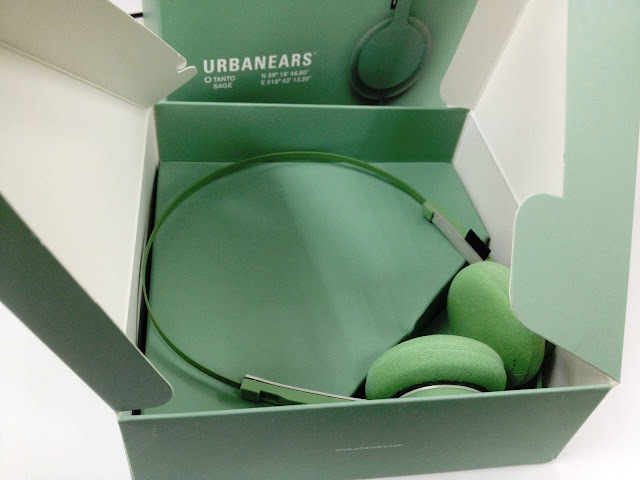 Pictured below is the Urbanears Tanto with a color dubbed as Sage (sort of a greenish hue not too different from moss). The package stays consistent with the color of the headphones and feels like a lot of thought was put into it. The Tanto line boasts to be “constructed for maximum mobility without the compromise of performance, adorned with a sleek and minimalistic look.” Maximum mobility here means that they tore away everything except the thin metal band that connects the two small ear cups on either side of your head. They weren’t exaggerating about the pair being super lightweight, but I’m afraid that stripping the headphones down to its bare essentials makes it look very fragile. I’m a big guy and holding them in my hands makes me feel like I’d snap them if I moved the wrong way. The minimalist design is appealing though – there’s no screaming brand logo, no fancy design details or loud prints to distract you from the eye-catching simplicity it offers, but some may complain that it’s too minimalist. The headphones come with a microphone and push-button control, which allows me to use them for calls or control the music. It also comes with a 120cm tangle-resistant fabric cord, which is of a fair length between my ears and the music player in my pocket. The package also comes with a converter for larger audio ports and will allow you to plug in your headset to any music source. 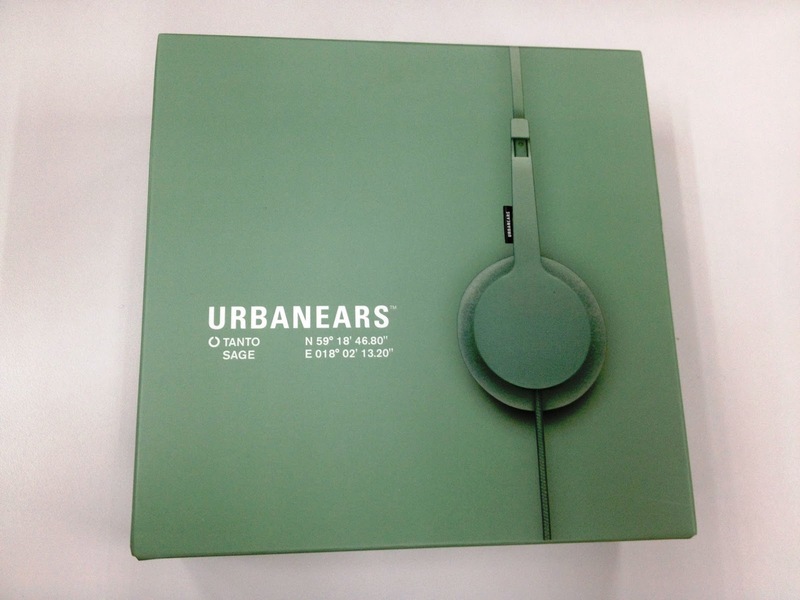 To round it off, the product comes with a warranty booklet, a full catalog of the Urbanears products, and a complimentary sticker that bears the company’s logo in the same color as the headphones, of course. At this point I’m thinking to myself, these are still your run-of-the-mill headphones. There’s nothing really special about the Urbanears Tanto to justify its price tag. It isn’t looking good for this pair – seems like my prejudice will still hold up after all. There was nothing left to do but to plug it in to my iPhone, scroll down to my staple test song “Drumming” by Florence and the Machine, hit play, and wear the thing. This is where I found myself eating my words. I was literally not expecting this much sound to come from such a flimsy-looking pair. I don’t want to get too technical with you, but I could hear a full range of sounds in clear detail. The bass power wasn’t overwhelming, but you wouldn’t find it lacking either. The lows and mids were easily distinguishable and the artist’s words came across very clearly. At only 70% volume, it was loud enough to drown out most ambient noise. Pushing the volume to 100% still made the sound comfortable enough to listen to with the same clear sound and no crackling whatsoever. It wasn’t noise-cancelling in any way as it still let the surrounding noise in, but I suppose this wasn’t really part of the product’s specifications. The lightweight design really does come through once you wear them. I had them on for about 30 minutes and I hardly felt that they were there. The Urbanears Tanto is a pair you could wear for hours on end without feeling any discomfort. I was pleasantly surprised to hear such good quality from such a small pair of headphones, but I wouldn’t say the experience was perfect. My main complaint is that the earphones don’t fit snugly over my ears. The product boasts that the ear cups were made with a pivoting ball joint construction for optimized ergonomics, but it took me quite some time to adjust them to a comfortable position where I could hear the music clearly. I wasn’t allowed to do any vigorous movement either, because moving my head would offset the headphones and I’d have to adjust them again. Overall, I would certainly say that the Urbanears Tanto headphones exceeded my initial expectations. It delivers good sound quality in an ultra-light weight, comfortable and sleek design – simple enough to be subtle, yet bold enough to get noticed. Has this changed my mind on the Ubranears brand? Yes, it certainly has. The company lives up to its promise of quality without compromise and it certainly justifies its price tag. Would I recommend you to go out and buy it? In a nutshell: using them while studying in your room / working at your office desk / walking in the park? Yes, these headphones are for you. Exercising in the gym / running around a lot / a big guy like me? 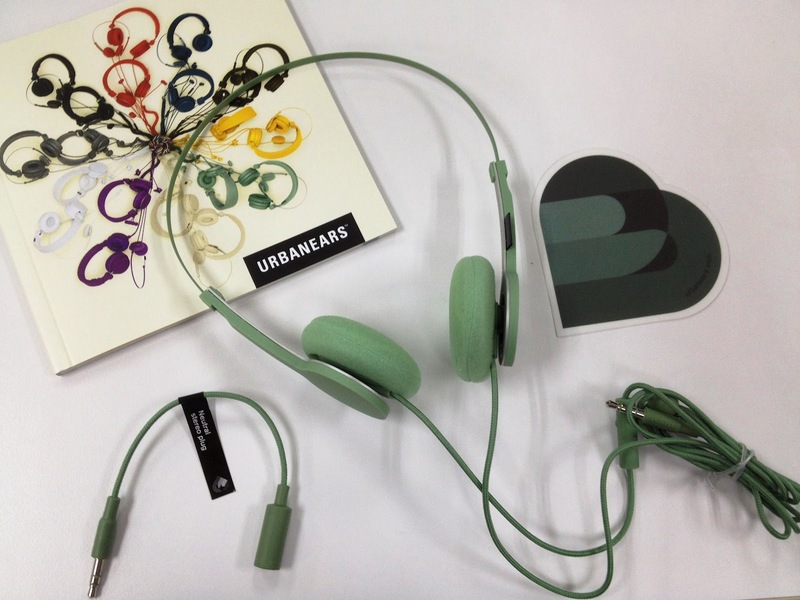 Perhaps you should consider its bigger brother, the Urbanears Plattan. No matter the case, Urbanears is definitely a brand I have added to my favorites list. Cool design. Very minimalist. As you said in review also :such good quality from such a small pair of headphones".